Q: Do you deal with rentals in the Kuils River area? A: No, currently there are only properties for sale. Q: Why are you only building in the Kuils River & Mandalay areas? A: Kuils River & Mandalay at present are the only areas where Communicare owns residential property that can be developed and sold. Q: Why are the houses you’re selling so expensive, are you not Communicare? A: Yes, we are the Sales Division of Communicare, selling houses at market related prices. Q: Do we have to pay Transfer costs? A: No, Communicare being the developer currently grants a concession to buyers and pays the Transfer costs. However, you as the buyer will pay the Bond Registration costs and an initiation fee to the financial institution if you finance your transaction by means of a Home Loan. Q: What is transfer cost? Q: Do we pay Transfer duty? Q: What is the advantage of buying property from a developer? · You save money on Transfer Duty. · You will be buying a brand new modern home with a style and finishes of your choice. Q: How can we be assured that you are not a ‘fly by night‘ developer? A: Communicare is a well-established company, with an excellent reputation, for providing housing in the Western Cape for more than 80 years. Q: Who is Yes Properties; I do not see your sales agents registered with the EAAB – Estate Agency Affairs Board? A: Yes! Properties is a division of the Property Development and Investments department of Communicare, the developer. The sales consultants are employees of Communicare, and are not Real Estate agents. Q: How do you choose your builders? A: With each development a tender process is followed. Q: Are the builders registered with the NHBRC? Q: Can I build myself? A: It will depend on the type of development you buy into. If you buy within a Group Housing Development, then it will be NO, as a designated builder will construct all the houses. It will be YES, if you buy within a Single Residential Development. Q: What is Voetstoots, does this still apply? A: With a sale or purchase it means ‘ without guarantee or warranty; at the buyer’s risk. The Consumer Protection Act that came into effect on 1 April 2011 gives buyers the right to products that are free from defects. Sellers have to make provision for defects that could possibly become evident in products supplied to consumers. If there are defects the seller will have to repair, replace or refund the price of the product supplied to consumers if proven to be defective when supplied. Q: Do we have to find our own architect? A: It will depend on the type of development you buy into. If you should buy a plot only, then you would have the liberty of appointing an architect of your choice. If you should buy within a Single Residential Development and you elect to use the plans of the developer, then you will use an architect that has been appointed by the developer. If you buy within a Group Housing Development, then you are compelled to use one of the house plans and the architect appointed by the developer. Q: Who sees to the house plan and gets it approved by the Council, must I pay extra for that? A: Your sales consultant, the builder and the architect will assist you and the costs are included in the purchase price. Q: How long do I have to wait for my house to be completed? A: Depending on the date the finance part of the transaction is secured, the house plan will be prepared and submitted to the relevant municipal office for approval and this process takes between six to eight weeks. As soon as the plan has been approved, the builder will start the process of building the house and is given up to four months to complete it. Q: Is there a place I can go to look at the finishes? A: Yes, the builder normally supplies samples of the standard finishes of flooring, built-in cupboards, cupboard tops and door handles as well as kitchen and bathroom taps. Q: Do you have a show house I can see first? A: The developer will try to have a show house ready as soon as possible after the launch of a new development. At the moment there is not one available as the show houses have been sold. Q: Can I supply some of my own fixtures and fittings? A: This is not encouraged. The developer and builder will give certain items consideration and liaise with you around this. Q: Do I qualify to buy a house from you? A: This will depend on how you intend to finance the transaction. Should you have the necessary funds available and not need a Home Loan, then nothing should stop you from buying a property from us. Should you need to finance your purchase by means of a Home Loan, there is the criteria of the financial institution where you apply for the loan to be considered. One of the main criteria will be qualifying in terms of your income and the affordability calculator on this site will be able to assist you. A: At present, the developer does not compel buyers to pay a deposit. However, the financial institution may offer you a loan that is less than a 100% of the purchase price, then you will be expected to pay the difference. The financial institutions look favourably upon buyers who are willing to pay a deposit towards the purchase price. Q: What interest rate will I be charged by the banks/financial institutions? 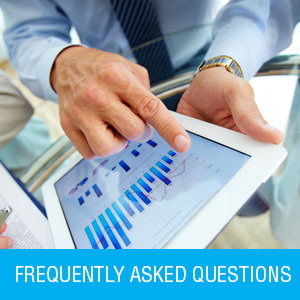 A: This is dependent on your risk profile at the respective financial institutions. The designated finance consultants are well skilled will assist with the best possible interest rate that can be negotiated. Q: Will I qualify to buy if I am / been black-listed/under debt –review/insolvent/ rehabilitated insolvent? A: This will depend on how you intend to finance the transaction. Should you have the necessary funds available and not need a Home Loan, then nothing should stop you from buying a property from us. Should you need to finance your purchase by means of a Home Loan, there is the criteria of the financial institution where you apply for the loan to be considered. 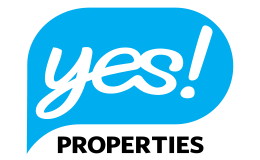 However, with help from the finance consultant, together with the Yes! Properties team, you will be advised and guided through the procedures to build on credit rating, become creditworthy and improve your risk profile. While these procedures could take time, if followed it could eventually enable you to qualify for the Home Loan that could buy your property. Q: If I owned a house before, can I still buy from Communicare? Q: Can I get a subsidy if I buy from you? A: Communicare does not offer subsidies. If your employer does, then you will need to find out from them. Q: Are there schools / churches / hospitals close by? 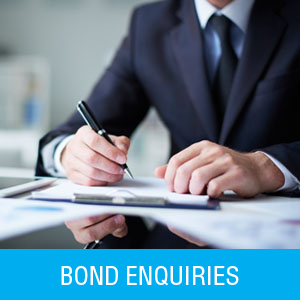 Q: What will it cost to register the bond?